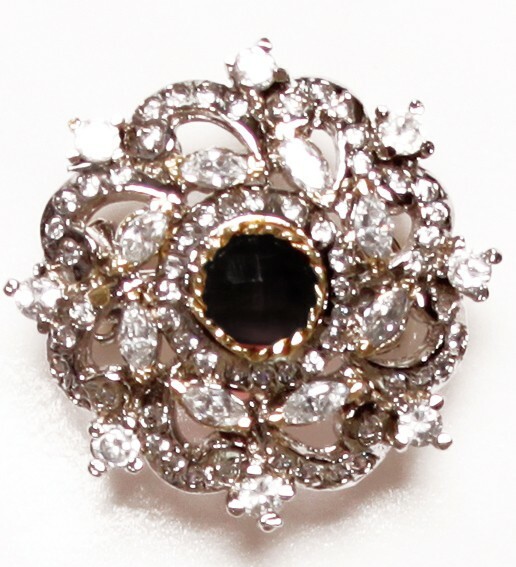 Indian ring in Silver colour (rhodium plated) with antique gold accents and black. Set with American Diamonds stones. Width: 3cm aprox Other colours available. This ring is fully size adjustable, so one ring fits all sizes.